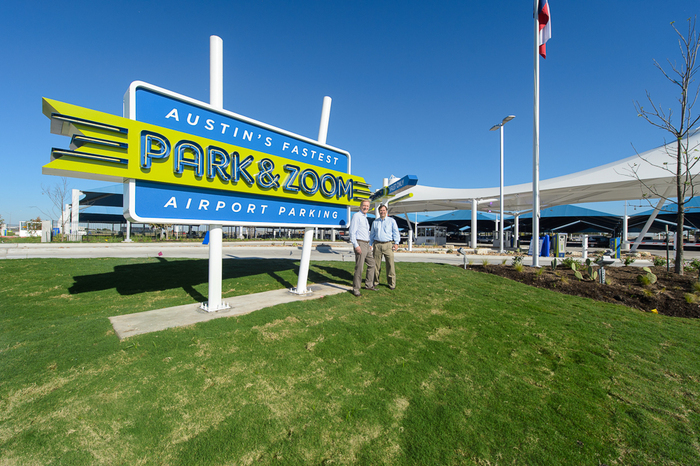 At Park&Zoom, you're on the Airport. That's right, you're already here. You could try walking to the Terminal , but it's much faster to hop on one of our environmentally friendly shuttles. Zoom. You're at Departures. 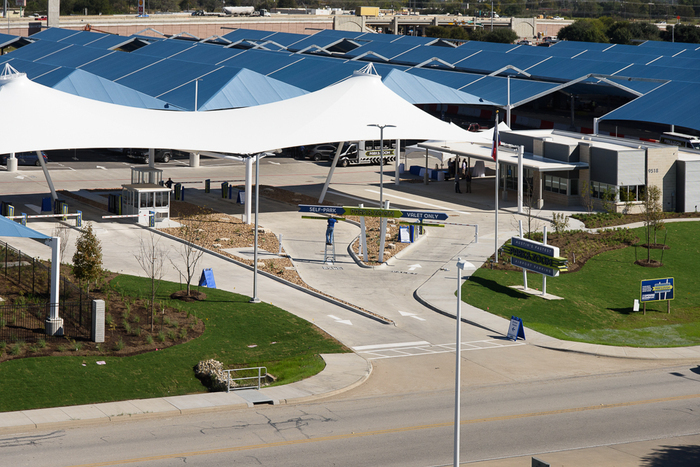 Just enter the airport on Presidential Blvd., take the first right onto Hotel Drive, and look for the big blue canopies on your right. Park, and Zoom! Hello self-parker! We personally greet you to let you know what aisle has an empty parking space. Go ahead, park under cover in our extra wide spaces—no poles to hinder as you park. Here comes one of our new shuttles and our driver is ready to assist you with your luggage—Zoom. You're off to Departures. In a hurry or simply prefer Valet parking? Just pull up and leave the parking to us. You can check your flight times on our ABIA flat screens before boarding our comfortable VIP Valet Shuttle that is reserved for our Valet customers--Zoom, next stop Departures! Upon return, be the first one to be dropped off at your waiting car. Price includes a courtesy 10% off all CarCare services. *Plus sales tax and 10% ABIA fee. Hourly rate: $3 per hour. Daily Maximum (24-hour period) $10.95 for Covered Parking and $14.95 for Valet. Save money on online reservation fees! Very few things in life are guaranteed, but by making a reservation with us, you'll be guaranteed a covered parking space! Park...and Zoom! It's Austin, so everyone appreciates home grown. That's us. 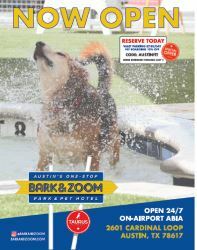 Park&Zoom is a local Austin company. Even our neon signs have a little touch of Austin's music and cultural heritage! Need to board your pet AND park your car? It's Austin. We get it. We're from here! It's music. It's weirdness. It's where we live, and we want to help take care of it. at Austin's Finest Airport Parking! For our disabled customers, we offer Valet service in YOUR handicap accessible vehicle free of charge to & from the terminal. And just who do we think we are, anyway?! Well, that's here. Want to tell us just what you think? Oh, please do.